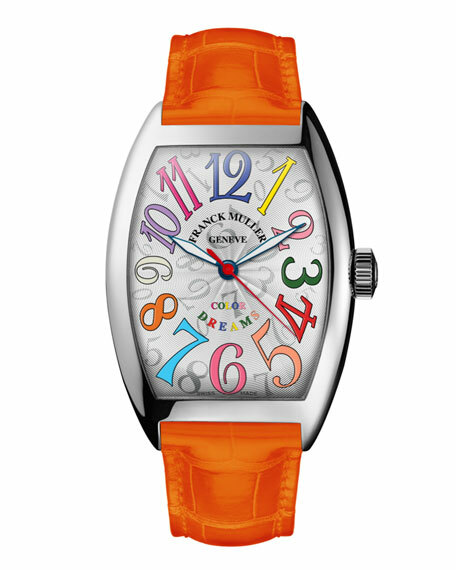 Franck Muller watch, from the Curvex collection. Stainless steel case, 45mm x 32mm. Alligator strap with tang buckle. Please Note:Strap colors may vary.